Machine wash cold gentle cycle like colors. Use only non-chlorine bleach when needed. Tumble dry low. Do not use fabric softeners. Cool iron. bought this for my boyfriend for Christmas. he loves it. wears it constantly. Bought this thinking it was similar to the Hubbard Shirt Jac, but to my great surprise, it was different, but awesome. Lighter in weight than the Hubbard, this wears more like a flannel than a Shirt Jac. The fleece lining is so comfy, it's like being hugged by warmth 24/7. It's so much better and nicer than the competitors fleece-lined flannel I own. Will be getting a few more of these for sure. Perfect for layering or as an outer layer. I have two of these at this point; perfect for a light to medium outer layer (depending on how hot or cold you run). Even better for layering... my go to for hunting, work and taking the dog out; I always keep one by the front door. Received this as a gift and love it. Great to wear around the house, outside on the cooler days, or underneath the jacket on those bitter cold days. This thing is great as either a layering shirt or if you want to use it with only a t shirt underneath it. Can’t go wrong, polyester comfy fleece in sleeves. A lot of people don’t like the slick “cold” sleeves that aren’t meant for short sleeve use, this shirt excels in this way. I’d say this combined with a nice hoodie or outer shell should get you through to the 30s. Can be worn in arctic weather but with a very heavy coat. Great product???????? Great shirt/jacket. Warm and seems pretty durable. Perfect for California winter, and comfortable to warm up in after surfing. Possibly my favorite flannel in my closet. Good work Carhartt. Nice jacket. Seems to run smaller than other comparable items from Carhartt. Thank you for your feedback. This shirt jac is relaxed fit, so it will be a bit closer to the body than the original fit shirts. Please contact us at 1 800 833 3118 with any questions. Well crafted, warm shirt that looks very nice. Quilted flannel, just as specified..
Great, durable shirtI’m 6’1 180lbs athletic build with long arms.Large was a great fit, arms are slightly short but most shirts are short on my arms. The relaxed fit is not tight but also not too boxy. Fleece is move on the inside and shirt doesn’t shrink when washed. Hot on a warm day but good for cold days. Best for temps 50 or less. I would buy this shirt again. Will do the job for those days that a heavy jacket is not required. When my first shirt-jacket arrived, I immediately ordered a second one in another color. I suppose this is the greatest recommendation a person can make. Bought this shirt as a gift for my son-in-law. Looks good and feels well built, not sure of the durability yet, way to soon to tell.. Very pleased with my purchase. Husband loves it. If you don't have a shirt jac, get one. They are a "favorite"
in my family (for both men and women). I like the shirt a lot seems like it's going to hold up nice but like all other carhartt clothing I buy there sizing is all over the place and this shirt to me fits more like a large than a medium. Great flannel jacket for the fall, warm and comfortable! This shirt fits great and is warm and comfortable. Love it. Warm and looks good. I bought it for my boyfriend for his birthday. He absolutely loves it!He wears medium for all Carhartt products and it fits perfect!The fleece inside keeps him warm. He wears it everyday as a thin jacket!We live in Vancovuer BC and it is perfect for our weather here. I BOUGHT THIS FOR MY GRANDSON FOR CHRISTMAS. HE HATES WEARING COATS AND LOVES THIS LINED SHIRT! Want a Flannel? Carhartt is the only way. My main concern when first buying this was the sizing as most jackets from Carhartt go a size or two up from what I need. I am 5'8" and 165-170lbs depending if there is a Holiday around, so I normally wear Medium and this jacket is true to size! Other jackets such as the Sandstone was almost two sizes too big for me in a size medium. However, I've got to say that this is the by far the most warm, soft and most complimented flannel I have ever had. 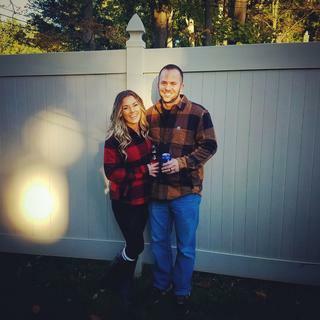 First day out, I couldn't count how many people complimented on the looks of the flannel and then once touching the fleece lining, they wanted to know where I got the flannel from. Everything Carhartt is durable as everyone knows and that is why you are here. This Jacket is almost too warm for the days with a long sleeve shirt underneath in 30 degree weather. Thank you Carhartt and will be sure to post many photos very soon! Exceptionally well made, durable, and super comfy. My boyfriend LOVES this shirt-- and wears it like a jacket. Ideally, it's a layering piece, but all I know is that whenever he wears it? He says.. "I Loooooove this shirt." I love how it feels and love the quality but they built this xl like a large. Normally their sizing is spot on but not with this one. Thank you for your feedback. Please contact us at 1 800 833 3118 if you need help with the returns process. Very warm and comfy, would definitely purchase future styles like this. Comfortable, warm and looks great, very happy with my purchase. It came as described and very quickly, very happy with my purchase, I will continue to recommend carhartt to all my friends. Wanna know what a Cupid wrapped in flannel hug feels like? Amazing product! Incredibly soft flannel wrapping even softer fleece. I don't even want to wear a shirt underneath it. If you have a rugged, stylish exterior but a sweet, gooey center, then this shirt if for you. A very good purchase, I'm thinking about purchasing another in a different color. One of my favorite jackets to wear. Not to thick but very warm. I love this shirt and will buy again and again. It does run a bit large as most relaxed fit by Carhartt. 5'9 42-44 chest get medium and it will be perfect not too long and not short. Again perfect. Bought for my husband! I have the matching woman’s one. He bought a Medium and typically wears a Medium / Large. He liked it a lot and typically runs hot but this is just enough to keep him comfortable on a 40 degree day. He likes the length and the range of movement he has while wearing it. He would recommend. Nice jacket for the price, Goes with almost anything. Im very satisfied with my purchase! This shirt jac fits true-to-size, like a "relaxed" version of my normal size. For me Carhartt can be so relaxed I need to go down a size, but not for this one. I like the look of this shirt jac and like all of the different pockets. My only concern is that the outer flannel layer feels a little flimsy, I'll have to watch how well it holds up over time. Bought this in brown for a fall jacket and when I received it, I ordered it in green for hunting! Perfect for cool fall weather with warm fleece lining, plenty of pockets and a soft, comfy outer plaid. Love it! I really like how it looks and feels. Even the medium is like a big large but it's a jacket so you want it to hang a little. First, this is a heavy duty warm shirt. It isn't a jacket, but it will work down to the mid 50's, without wind, no problem. I bought to wear with a leather vest while motorcycle riding this fall. I expect it to work very well. The XXL fit about perfect. For reference I'm 6 ft 1 and 240 lbs and lift weights a lot. It fit better than the XXL flannel shirt I bought that was way too big. It does have very nice flexibility in the shoulders and really all over. It will also be worn for yard work this winter. Great product! Will this product be released in big/tall sizes at any point? BEST ANSWER: No, this item doesn't come in tall sizes. Does your team have an estimate of when these will be released in size small? BEST ANSWER: We will have the small size available in the fall. Does your team know when smalls of this product will be made? BEST ANSWER: A size small is not manufactured in this style. We will have the small size available in the Fall. Does the sleeves have buttons or stapes ? BEST ANSWER: The sleeves will have buttons. Can you make more in size small? Are the sleeves of this jacket also fleece lined? you bet...just like the body of the shirt/jacket. Does this shirt have fleece lined sleeves ? Yes it does. It is very comfortable, and a great buy. The coat has fleece lined sleeves. What other color is in the Olive colored jacket? Is it navy blue or black? The other color is black. Highly recommend it by the way, looks good, feels good and is very practical with the chest pockets. What is the honest answer for why there’s no size small? BEST ANSWER: We cannot cite a specific reason, but sometimes when a product is new, it is only available in a limited size range. Your interest will be shared with our Product Design department. what is the fiber content for this shirt? BEST ANSWER: This Shirt Jac has a 5.5 ounce, 97% cotton/3% spandex flannel with 4.3 ounce, 100% polyester fleece lining in the body and sleeves.